Rotate blocks and direct water to Hunga. Knock the enemies out of the poolside ring in Monster Poolside Sumo. Dive in the capital of Sweden. 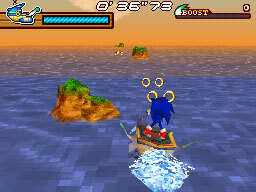 The aim of the game is to collect all the fish before time run's out. Save your ship by shooting enemy Helicopters and Submarines. Help the seahorse defeat mutant fishes attacking the Undersea Kingdom. Jump from blocks to blocks to cross the river and collect stuffs. More avoiding, eating, and evolving in the second edition of Plankton Life.